Over 40 people from across Sunderland gathered in the chilly Bonded Warehouse to find out about Journey to Justice and discuss bringing our travelling exhibition programme to their city. They came from organisations including Young Asian Voices, Sunderland Carers, the LGBT forum, Disability Access, Housing and Homelessness, Sunderland College and schools as well as four members of the Newcastle JtoJ group including our new North East co-ordinator Katie McSherry. The taster day was organised with our main partners from Sunderland University – Dr. Rick Bowler, Senior Lecturer in Community and Youth Work and Justine Gillespie, Head of HR Business Support and a member of the Diversity and Equality Committee. They welcomed JtoJ and talked about how our work complements their focus on creating a fair and inclusive community and society. The room warmed up as we heard from Rev. 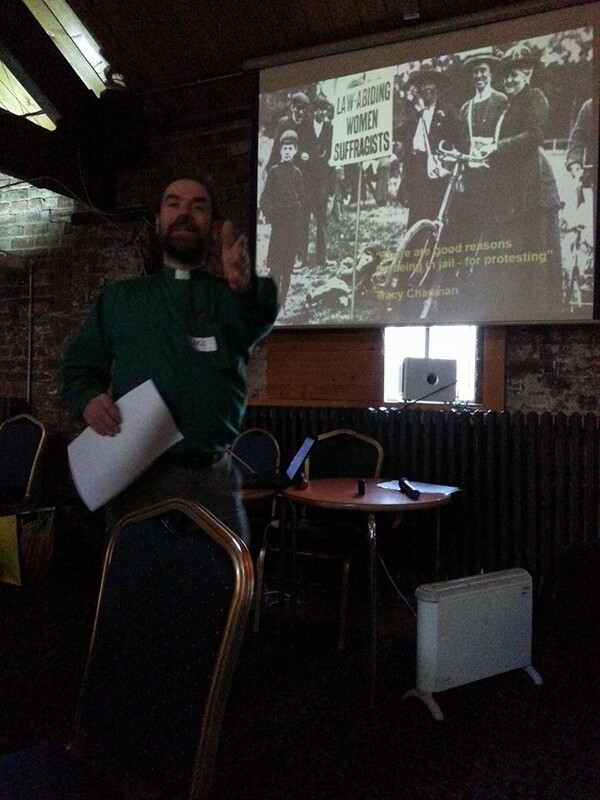 Chris Howson Chaplain of Sunderland University about Sunderland’s radical history and some of its sons and daughters who were devoted to social justice – John Lilburne, leader of the Levellers, WW1 conscientious objectors including Norman Gaudie the footballer, suffragettes and abolitionists such as Anne Isabella Byron and James Field Stanfield. We showed films about our Newcastle and Leyton pilots and Parul Motin inspired us with a description of her work with young people and the impact on their attitudes and choices. Keith Hodgson, retired UNISON Regional Education Officer talked about local campaigns and support for the rights of women workers, carers and miners and he asked us, What makes an activist? Then Amer Sheikh, Chemistry teacher and rapper told us about THE WORD – a project he created with young people to challenge racism and prejudice. 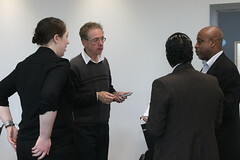 The day ended with an animated discussion about local priorities and the possible role of JtoJ. 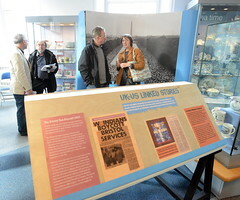 One participant said, ‘I’ve not felt passion for years as I felt here in this room!’ There was overwhelming support for bringing the exhibition to Sunderland. Issues covered ranged from disability rights; access to learning and housing; Sunderland’s rich cultural stories, the need to hear more voices and to humanize everyone; devastating cuts to organisations which support the most vulnerable people; the ‘mental torture’ of asylum seekers as a result of punitive processes; demonization of activists and the need for intergenerational work. Evaluations: Brilliant organisation and cause; it proves that we can change the world in funny way (like songs); there is so much that could be achieved for and by the people of Sunderland; lots of inspirational stories and people; I got my passion back as to why I work in engagement; it helps the youth to have confidence in themselves; it was well presented, informative and thought-provoking. The excellent work Journey to Justice achieves throughout the U.K. is only possible with the help of our many fantastic volunteers. We began interviewing some of them last year to find out exactly what makes them tick. 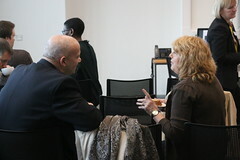 What made them want to volunteer with Journey to Justice? What have they gained from their experience? This month we’re talking to Jackie Nixon to hear her JtoJ story. 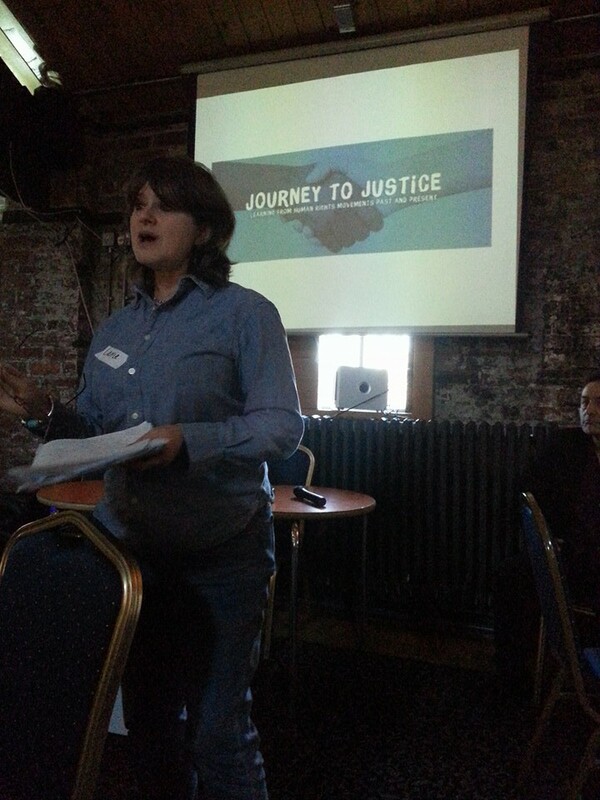 Jackie was chosen as the Chair of the Journey to Justice Sunderland steering group and helped motivate many others to get involved with the developing project. 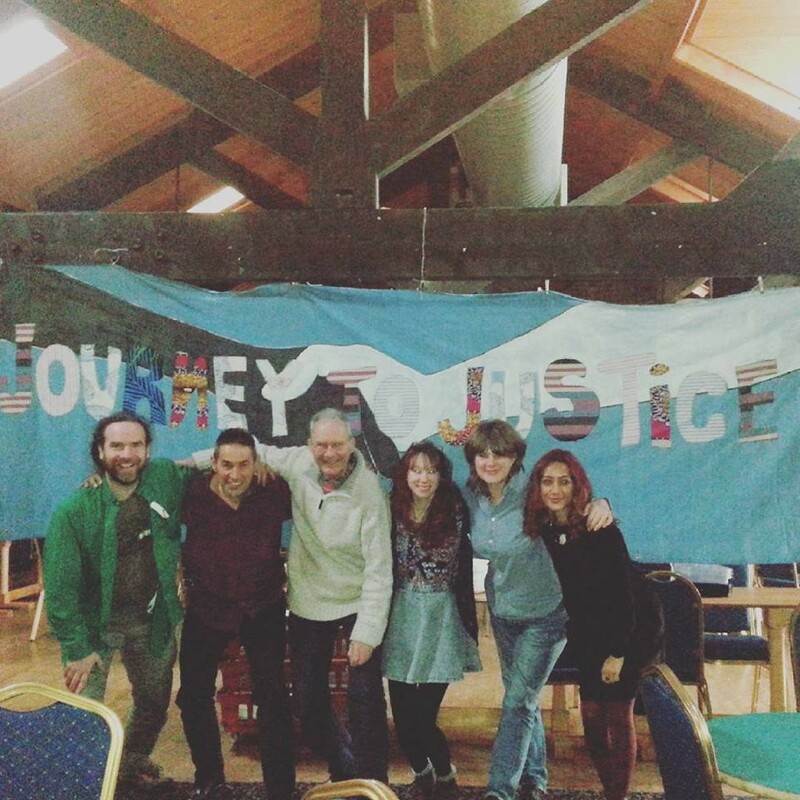 She created a team to manage Journey to Justice Sunderland from March to December 2016 – constantly inspiring new volunteers to get involved from across the city. Jackie and the JtoJ Sunderland team helped secure key funding for JtoJ Sunderland, including securing grants for the installation of the travelling exhibition, the appointment of the local coordinator, the launch of JtoJ Sunderland, publicity, recruitment and training of volunteers, local history and arts projects and much more. What inspired you to volunteer for JtoJ? 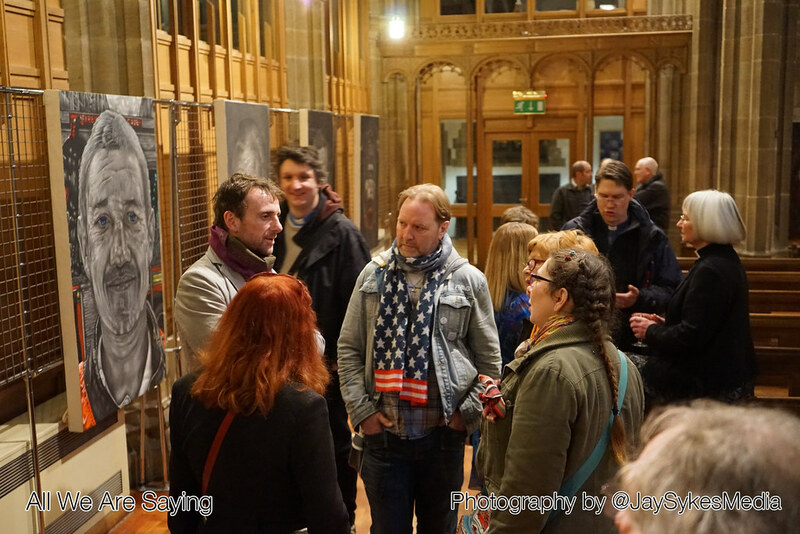 The JtoJ mission, I love education and empowering ‘everyday’ people to be inspirational – like in Hollie’s photography exhibition [featuring ten local grassroots activists including Jackie]. You can see them all here. What did you get from volunteering for JtoJ? 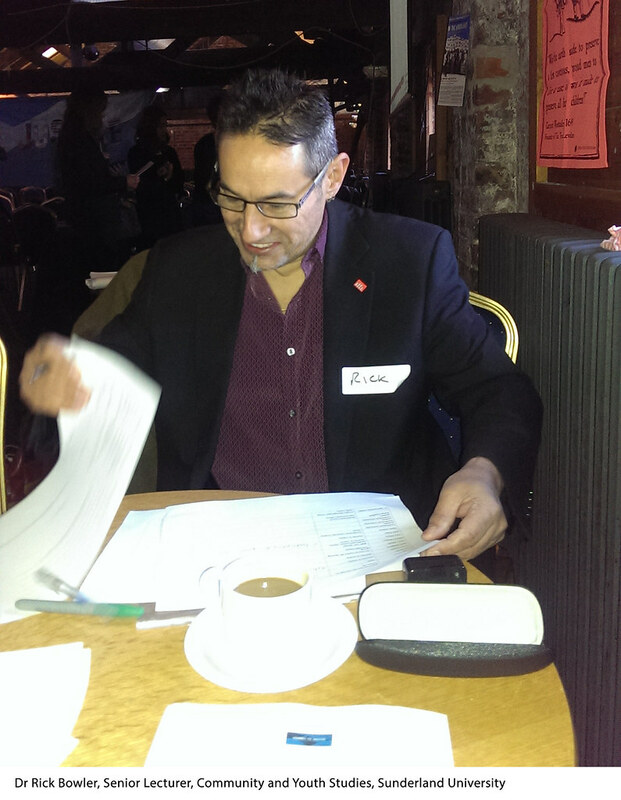 The JtoJ taster day (held in January 2016) reignited my passion for engagement which I had previously lost. I was re-energised and wanted to carry on. What are you pleased about? It made me realise how much I can influence and mobilise people to stand up for what they believe in and empower them to believe in themselves. I thought I’d lost my ability to do that. What would have made your role easier? Sometimes I felt too many tasks were left to me and I wish we had had a paid local co-ordinator sooner. It took until early October to raise the funds and have Lindsey in post as a paid part-time local co-ordinator. What would you tell someone who is thinking about donating to/volunteering for JtoJ? 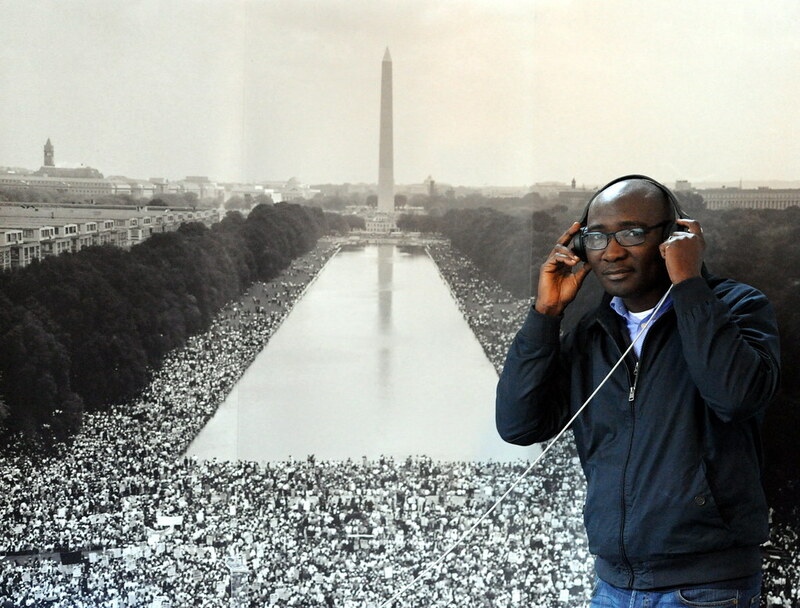 JtoJ is people-led and people-oriented, it’s about empowerment and education. If you give just a little time or money to JtoJ you’ll be doing some good in the world. Volunteering is active and will make you more passionate about social justice. What do your friends and family say about you volunteering with JtoJ? They call me Joan of Arc! They can’t believe I have the time to work full-time, have a family and volunteer! 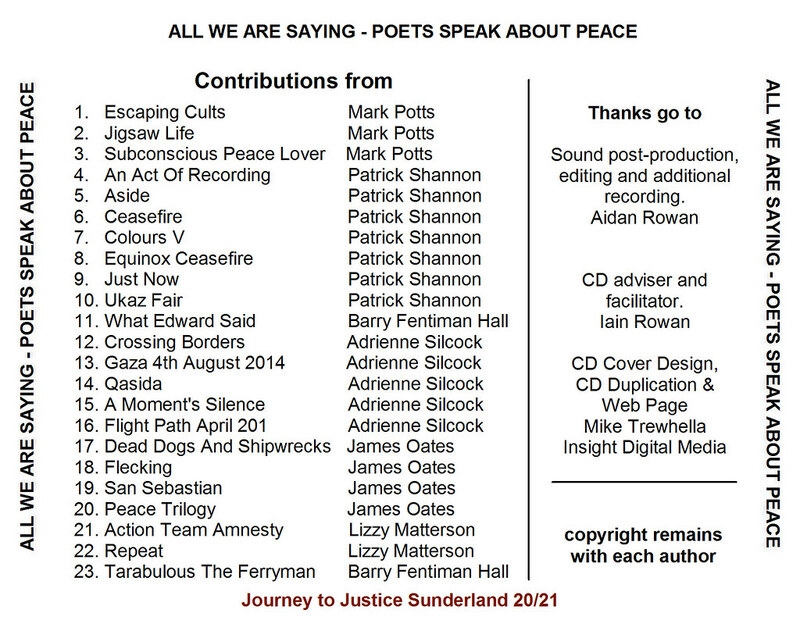 What do you hope for JtoJ in Sunderland now? I hope local people will be able to make a difference in society, achieve whatever they want to achieve and get recognition for it. 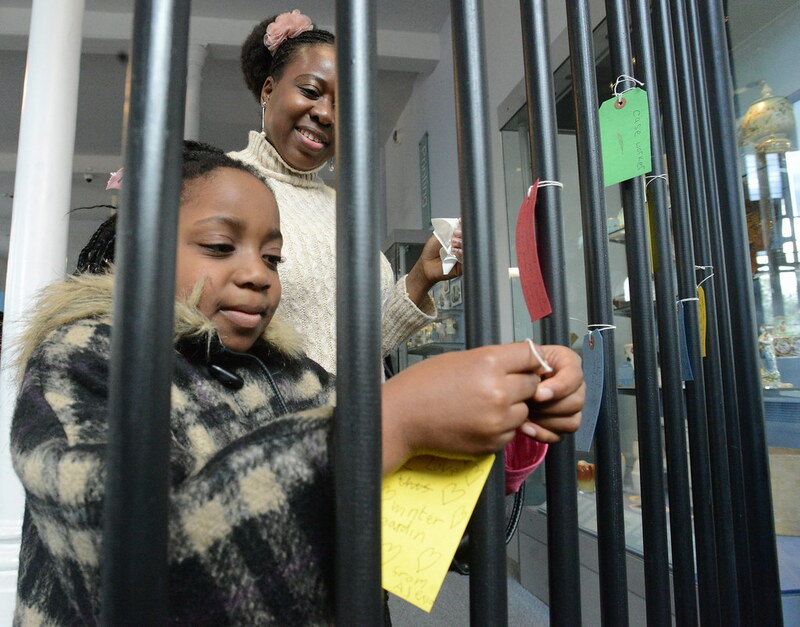 I want them to think: ‘I can do that!’ Just like the stories in Hollie’s photo exhibition. Hello there! My name is Lindsey Mullan and I am the coordinator of Journey to Justice in Sunderland. I’m a native of the city, having returned to Sunderland during the summer of 2016 after seven years of living away. 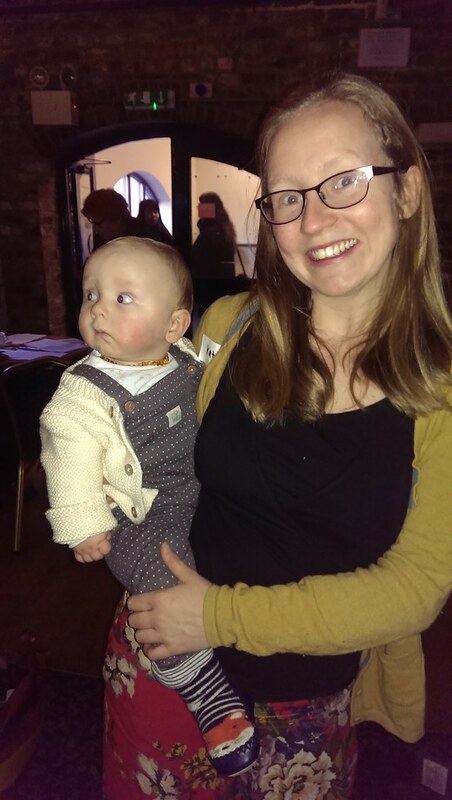 I came to be involved with social justice through my undergraduate degree course, Environmental Planning at Queen’s University Belfast, which shed light on environmental injustice and how it is inescapably linked to social justice. My studies gave me an opportunity to understand the ways in which the built environment impacts on community relations, mental health and the economy, among many other factors. I encountered housing, economic and sustainability issues which impressed on me how social justice is multifaceted and that in order to tackle one issue effectively we need to address them all. 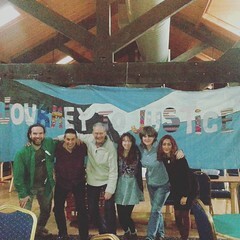 I am incredibly proud of the work being done in Sunderland and by Journey to Justice all over the UK, to promote social justice in a way that inspires people to take action for causes they feel passionate about. Everyone has their own journey to justice so why not join ours? As together we can make a positive and empowering difference. 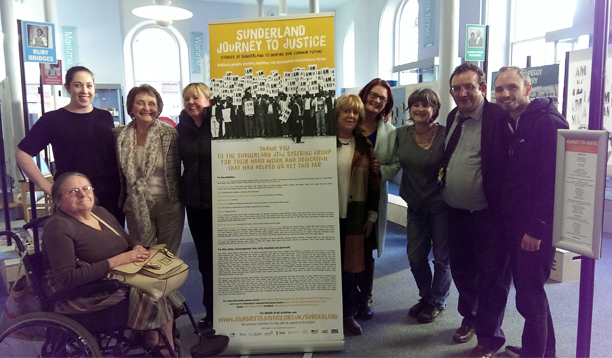 October 22nd 2016 was an exciting day for Journey to Justice Sunderland as we welcomed the Journey to Justice travelling exhibition to our city. The exhibition had been to visit our neighbours in both Newcastle and Middlesbrough before making Sunderland its home until November 18th. The exhibition, both beautifully crafted and visually enticing was set up in the Pottery Gallery of the Sunderland Museum and Winter Gardens among fine examples of pottery from all over the United Kingdom. 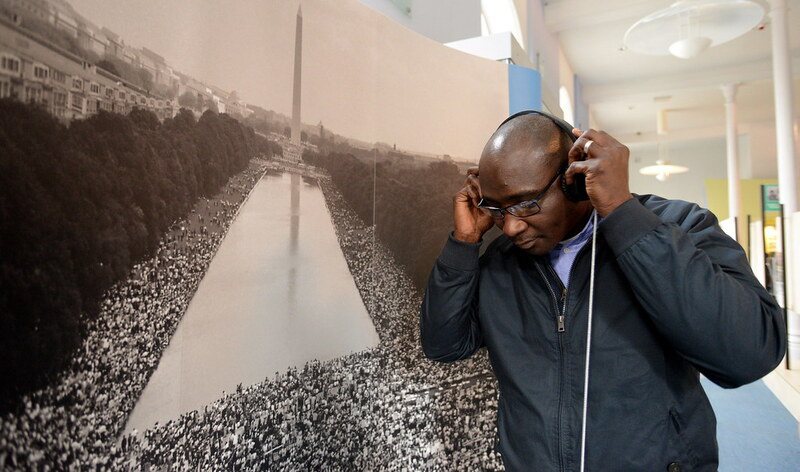 The gallery was brought to life not only by the powerful stories of those featured in the exhibition, but also by the songs played on the jukebox, including Stiff Little Fingers, Aretha Franklin and Willie Guthrie. And by local Sunderland stories (please see below). 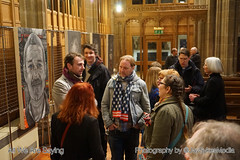 The exhibition was welcomed to the city with a stunning launch held in Café Eden at the Sunderland Museum and Winter Gardens. 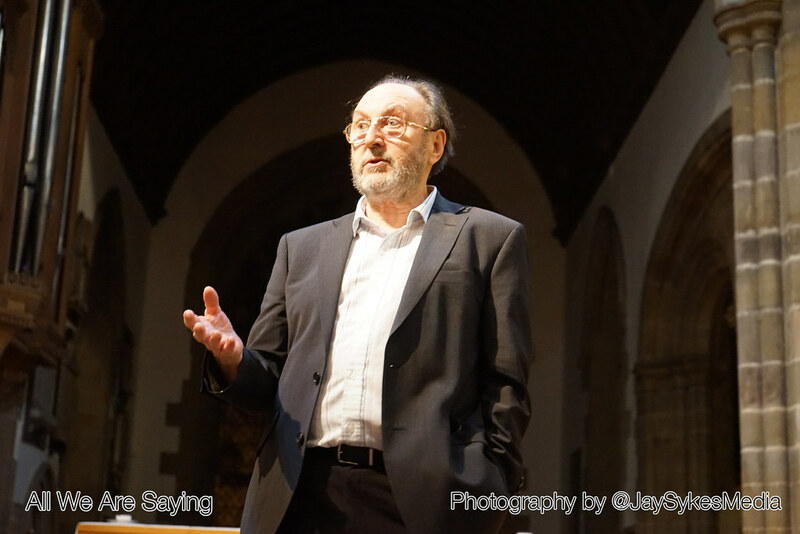 The afternoon showcased the best that Sunderland has to offer and those in attendance heard moving and powerful tales from both natives of recent arrivals to the city (see here for the full programme). It served as a reminder that although Sunderland lies in a small corner of the world, it is a city with a wealth of experience relating to social justice issues. It was lovely to hear about the experiences of newcomers to the city, and how they had found a place of peace and security here. Like cities the world over, Sunderland is not immune to global forces and as a result of a changing demographic, it is becoming a home to those fleeing wars, persecution and atrocity overseas. We were privileged to hear from one such survivor, a man persecuted in his native country for being gay, who had found sanctuary in Sunderland and is building a life here. He now feels able to live as an openly gay man without fear of retribution and mob justice; things that had become a daily fear. I know everyone in the room that day was moved by this story and proud of Sunderland for welcoming him with open arms. The launch saw people of all ages and backgrounds come together to celebrate the opening of the exhibition and Sunderland was able to welcome those from the national team of Journey to Justice, some for the first time, to Sunderland. 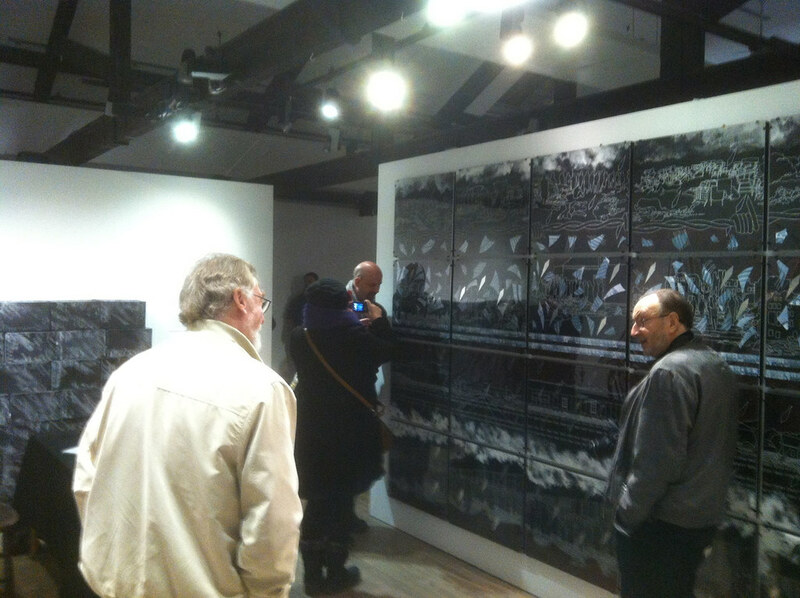 Having previously brought the exhibition to Sheffield, it was a wonderful opportunity for our then Chair Mark Hutchinson to see the exhibition again. 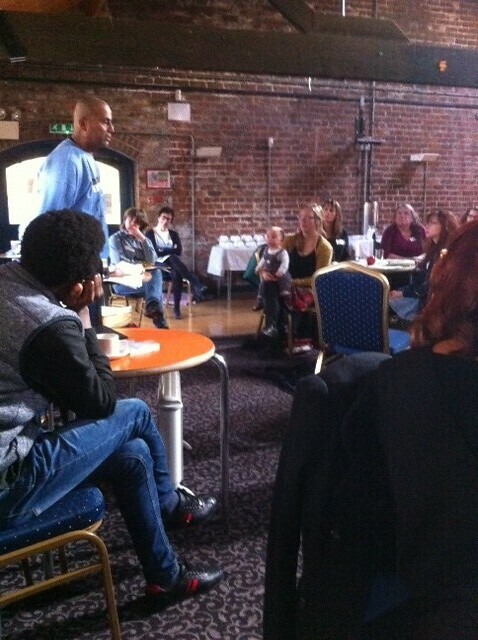 The intergenerational approach of Journey to Justice is an important one; we need to draw on the knowledge, wisdom and enthusiasm of people of all ages in order to really make a difference. The launch saw two groups of young women come together to open the exhibition. 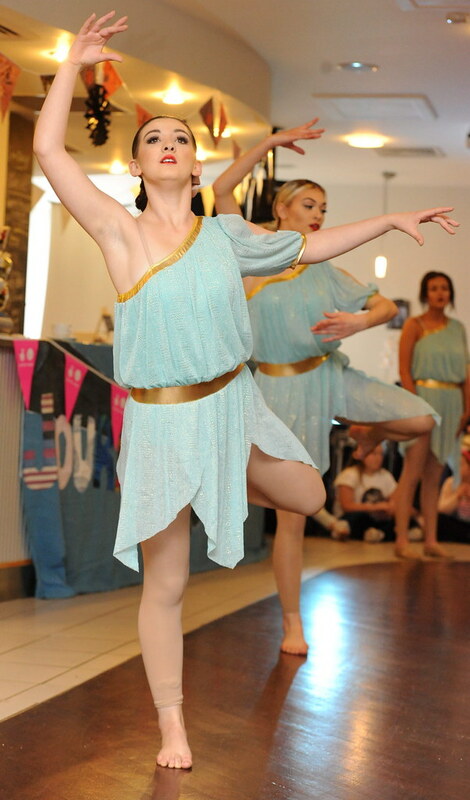 At the close of the launch the talented dancers of the Gemma Hackett School of Dance performed a moving piece to Emeli Sandé’s ‘Read All About It’, as sung by one of their own members. Three members of Women of the World group from Sunderland then cut the ribbon at the entrance to the Pottery Gallery, declaring the exhibition open for all to see. The song the girls performed to opens with the line ‘you’ve got the words to change a nation but you’re biting your tongue’ which was so poignant. We all have within us the power and capacity to bring about positive change, and I hope that those who attended the launch and those who attended the exhibition, came away feeling that they too make a meaningful contribution to a more socially just society. As a charitable organisation, Journey to Justice is made up of volunteers from across the country. 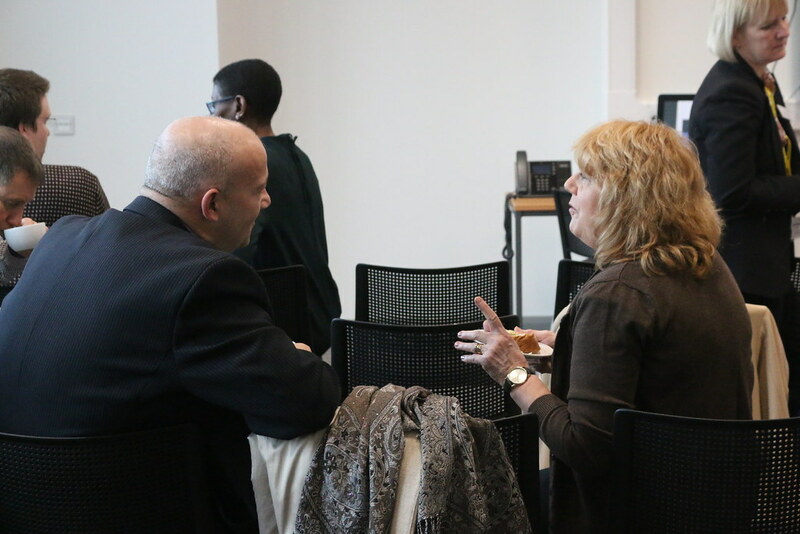 From the management committee at national level to the locally based steering groups, Journey to Justice is powered forwards by the generosity of the volunteers who give us their time and expertise. 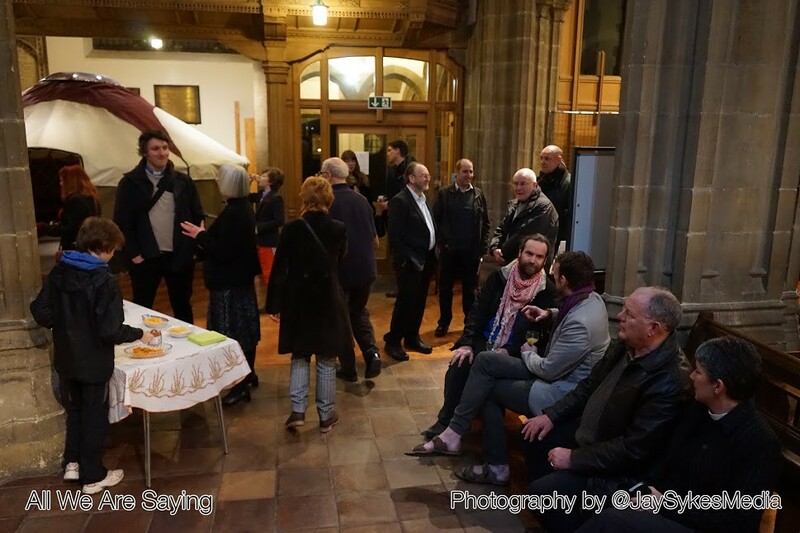 Thanks to everyone who has been part of the steering group at various times: Abdul Amin; Elizabeth Ashcroft; Dr. Rick Bowler; Dr. Dan Connolly; Jo Cunningham; Hollie Dearing; Lesley Etherington; Yvonne Ewington; Adam Gawne; Justine Gillespie; Dr Kim Gilligan; Liz Highmore; Pat Howe; Rev. Chris Howson; Dean T. Huggins; Helmut Izaks; Sr. Josepha; Mark Leadbeter; Vikkie Morton; Lindsey Mullan; Steve Newman; Jackie Nixon; Ahmed Salah; Tunde Sobitan & Barrie West. 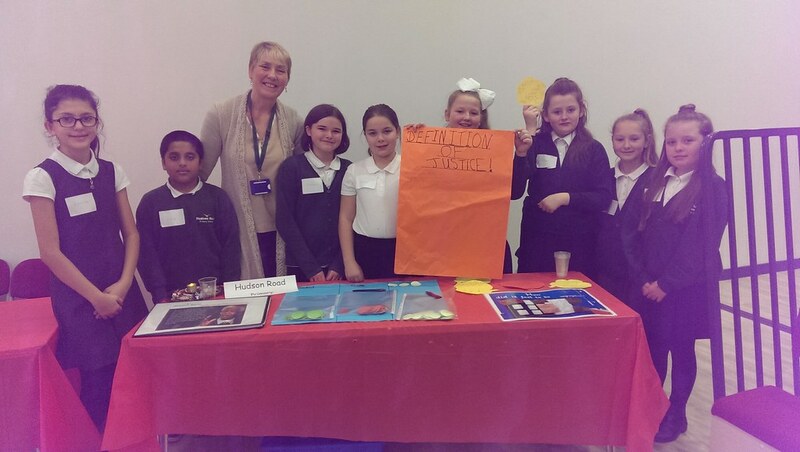 The Sunderland Steering Group was formed in January 2016 after Journey to Justice hosted a taster day in the city. 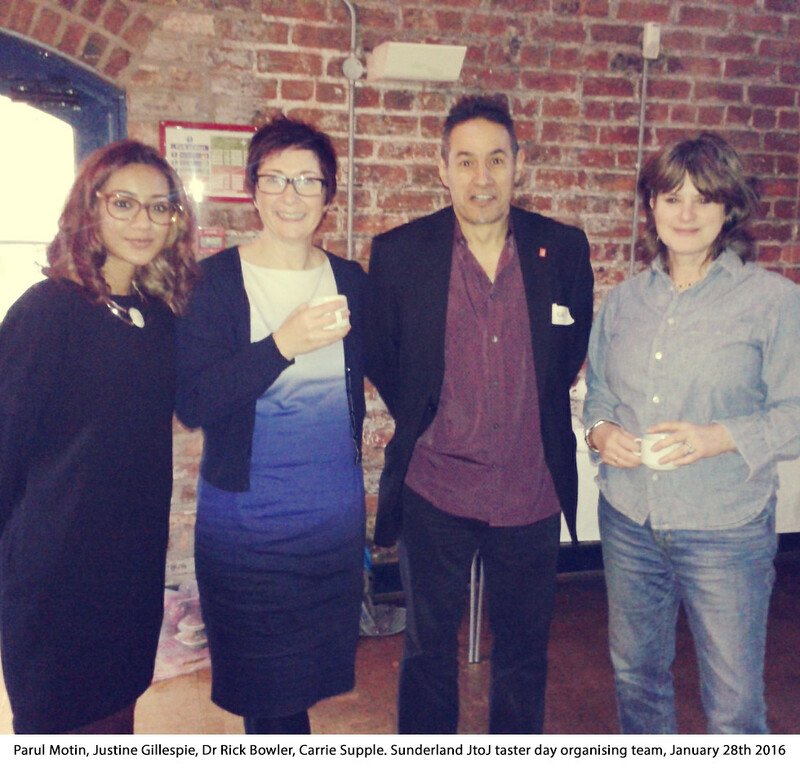 From when the group first convened they have gone from strength to strength; successfully securing funding to keep the Journey to Justice movement in Sunderland alive after the exhibition concluded. With thanks to the many individuals in the city and beyond who donated to JtoJ. As well as the volunteers on the Sunderland Steering Group we also relied on the support of volunteers to oversee the exhibition whilst in residence at the Pottery Gallery. 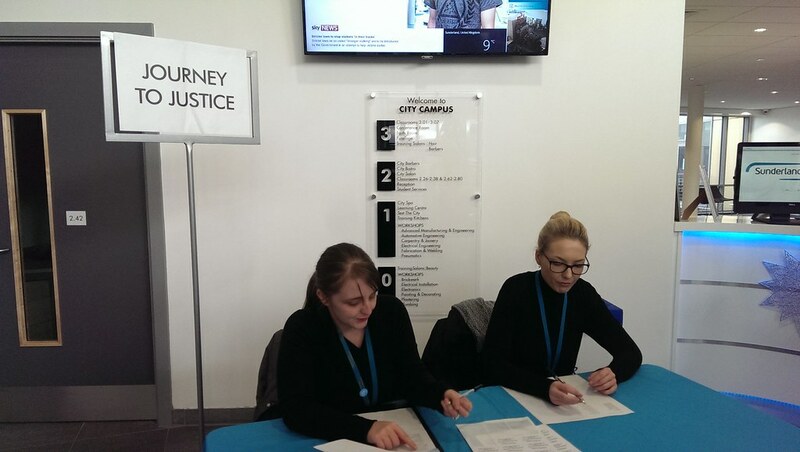 As ever, local people did not disappoint and Journey to Justice Sunderland was lucky to have the support of fifteen trained volunteers from across the city and beyond, with interests in social justice, history, politics, education, and media. 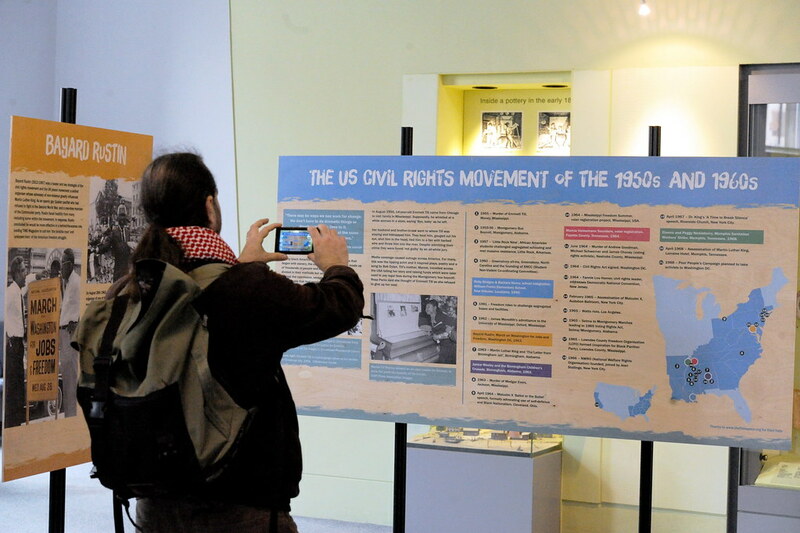 The travelling exhibition features the stories of some of the less well known activists of the American Civil Rights Movement and links to UK human rights histories so that visitors can see it is the ‘ordinary’ people like them who can make a difference. This is true too of our volunteers, who were such an asset, in guiding, talking to and inspiring the 825 people who visited the exhibition in Sunderland. We also had plenty of help and support from the Sunderland Museum and Winter Garden’s staff, for which we are very grateful. 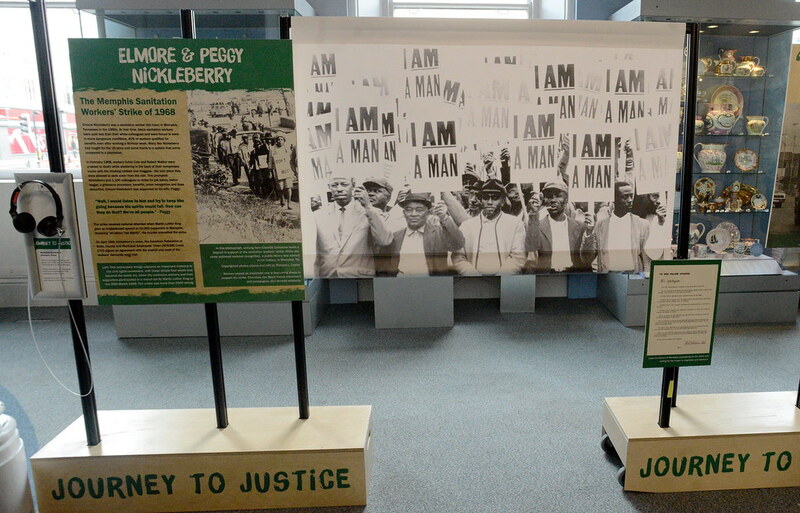 Without the help of volunteers Journey to Justice wouldn’t exist, and it makes me think that without the passion of those featured in the exhibition, and the time that they dedicated to their cause, history would have taken a very different turn. 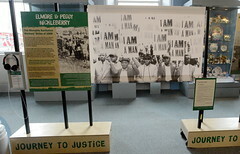 Whilst the volunteers were integral to the success of the exhibition, visitors were key to spreading the Journey to Justice message. We were lucky enough to welcome people from all walks of life; musicians, priests, home educators, activists, doctors, teachers and many, many more. There were people who were just passing, those with an established interest and those who came for pottery and were pleasantly surprised. 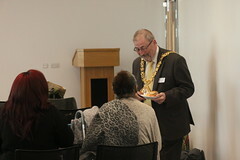 We welcomed school groups, youth groups, a carers group, people from Sunderland and from the wider UK and beyond. I am so grateful to everyone who came to visit us, as without you our message would be redundant. Thank you again to everyone who helped, visited and supported the exhibition. If you wish to pledge further support you can do so here . As the exhibition is a travelling one, and principally features stories from America, Journey to Justice includes a local element, unique to the host area. 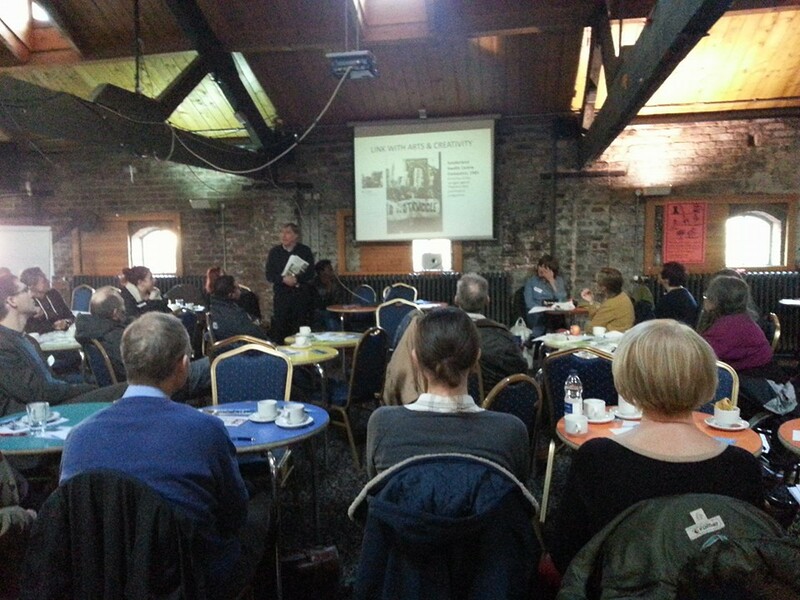 Our neighbours in Newcastle included oral histories of activists for social justice in the area. 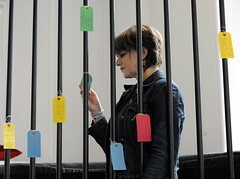 In Sunderland, thanks to a Heritage Lottery Fund grant, Journey to Justice worked in partnership with local ceramics artists Mark Burns Cassell and Emily Nolan (of MBC Ceramics) to create a feature installation called Hidden Histories. 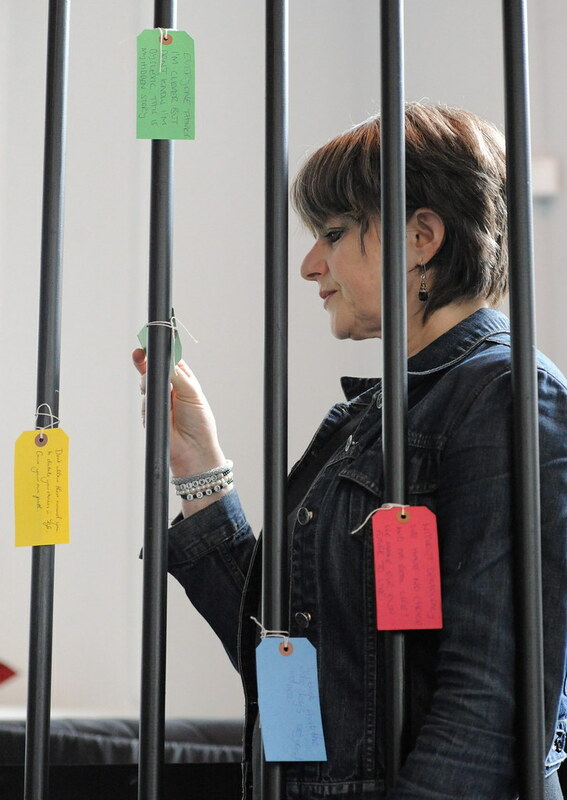 The piece saw various community groups from across Sunderland, including Sangini, The Bangladeshi Centre and Pennywell Probation Service tell stories about their involvement in social justice. 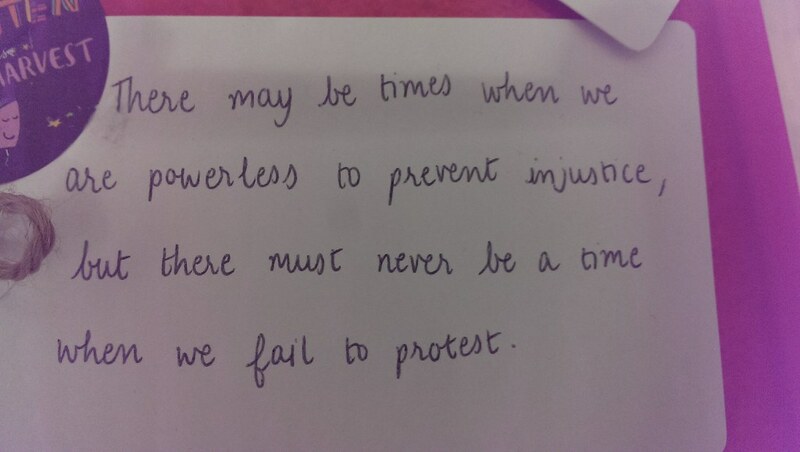 Those participating in the project were told stories about Sunderland’s history of being involved with social justice movements (see examples here) to inspire them to think about their own lives and the journeys they’ve been or are on. 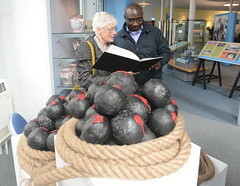 The stories were handwritten by each of the participants before being folded up and placed inside a clay sphere, made by the participant. 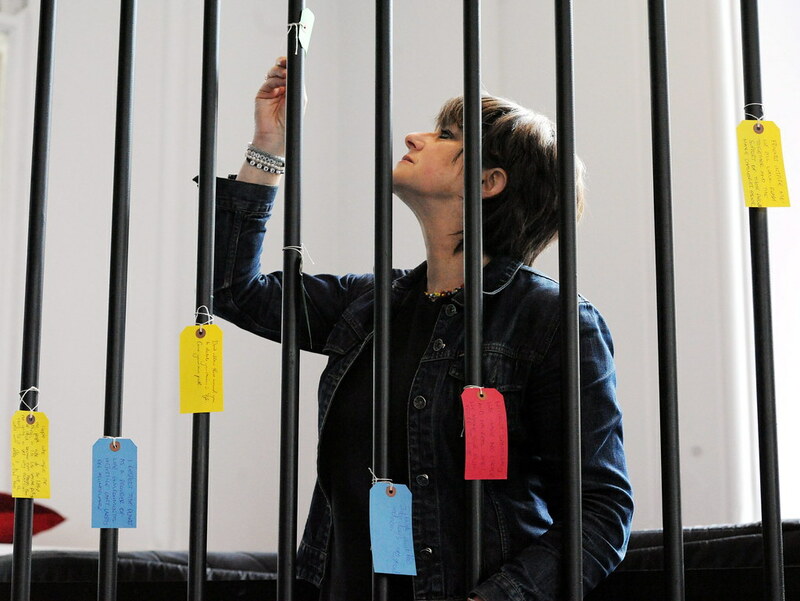 The stories inside the spheres inspired and affected us all with their power – some participants wrote their own story and others wrote in recognition of a family member or friend’s experience. Each sphere was uniquely decorated to reflect the story inside. 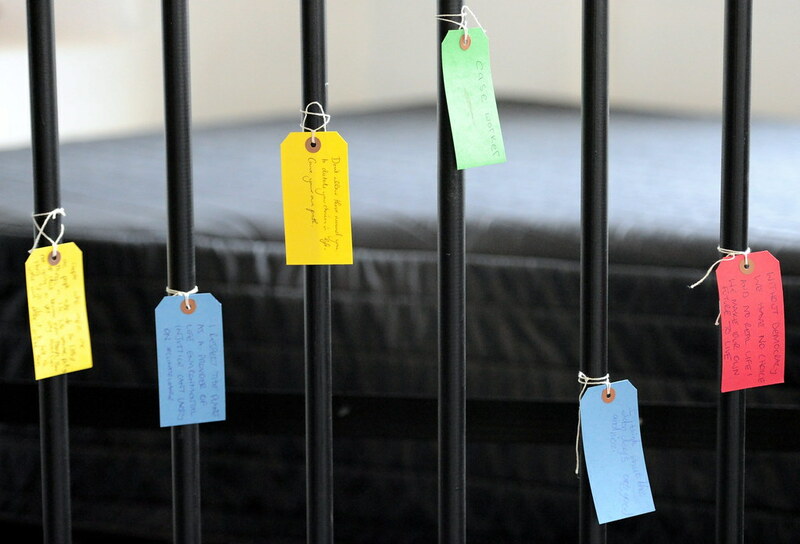 I loved this idea, that the stories and the struggles are hidden within, and that to look at someone you have no idea what their story is. Just like the cannon ball spheres. Its important to remember to be kind and considerate to everyone we meet, and to be understanding of their path in life. If they don’t look, sound or dress like you, that doesn’t mean they don’t feel like you do. 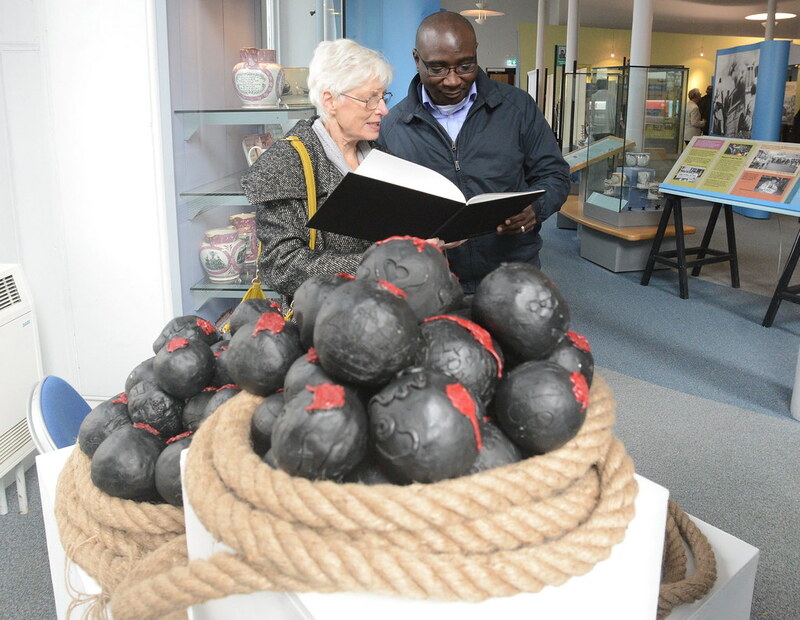 The clay spheres were then finished and fired to look like cannonballs, which give a nod to the cannonball rocks (a limestone rock formation, found locally on Sunderland’s beaches) and to Sunderland’s maritime history. Being a coastal city, Sunderland has always had a prominent role in the maritime affairs, and was once the largest shipbuilding town in the world. This meant that Sunderland has a longstanding history of welcoming people from further shores, with the city continuing to diversify and evolve constantly. This history wasn’t always so positive however, as the city’s shipbuilding heritage has links to the slave trade as well. 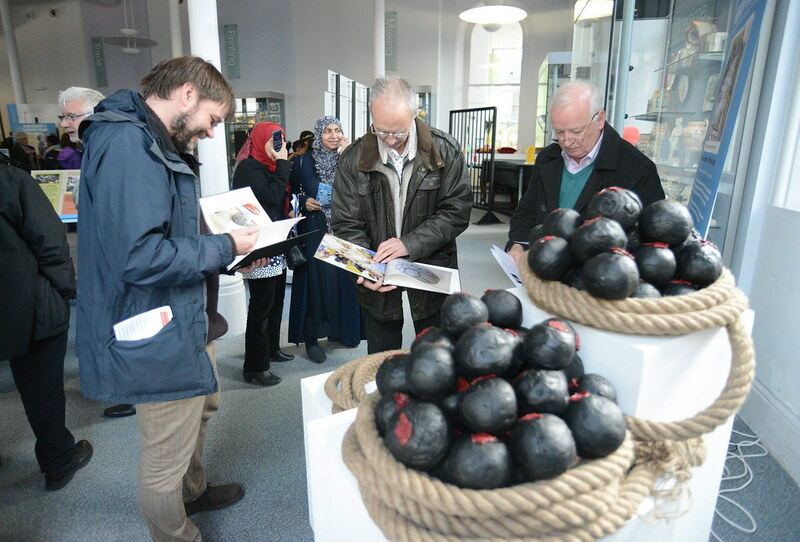 In addition to creating the Hidden Histories project, Journey to Justice Sunderland was lucky enough to be able to partner with MBC Ceramics again to create the Ship of Souls installation thanks to a grant from the Arts Council. 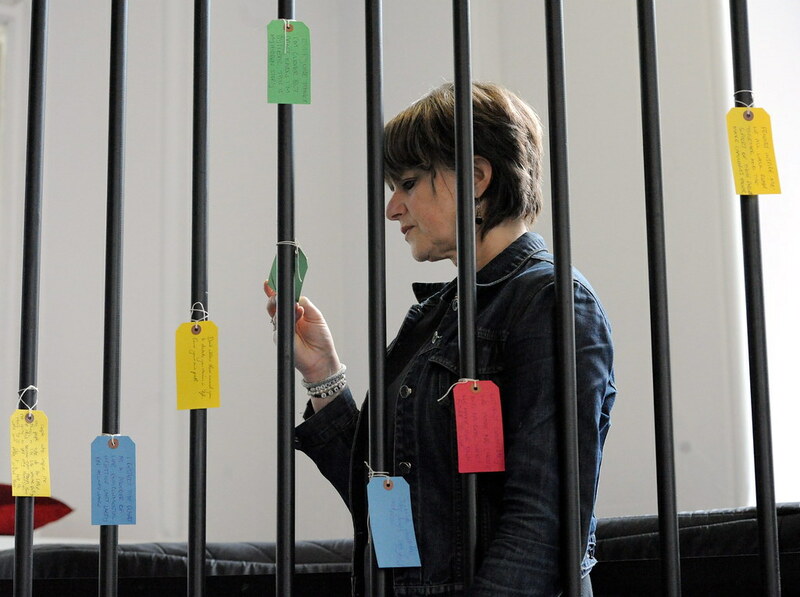 Created in conjunction with Red House Academy, where the installation resides, producing stunning results, this project taught the pupils involved about the links Sunderland had to the slave trade and abolition and what that entailed. 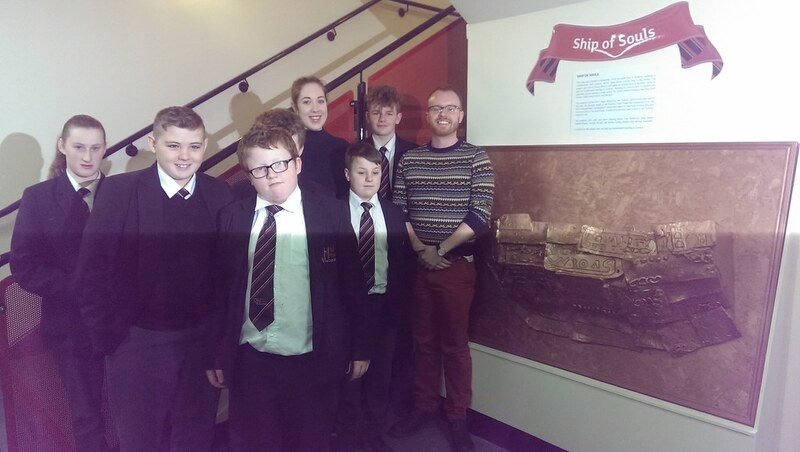 Pupils learned how ships were used to transport the slaves and the terrible conditions on-board. 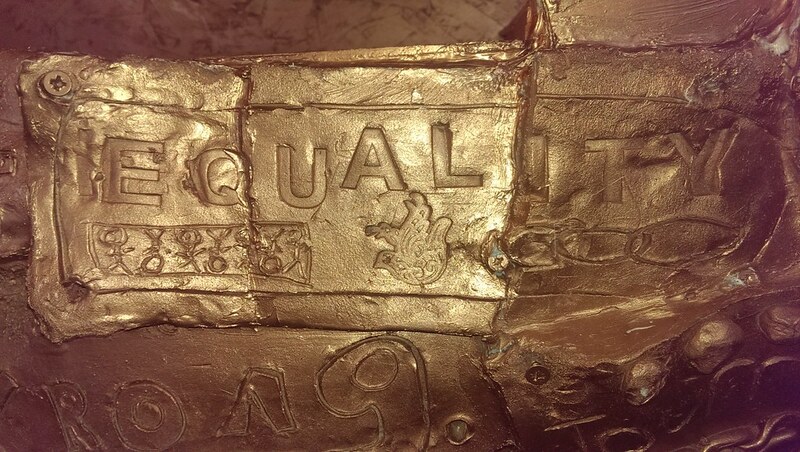 Using this new knowledge the pupils decorated planks with their own statements ‘Freedom’ ‘Equality’ etc that would go on to form the hull of the ship. As you can see from the pictures below, the ship is beautiful. By recognising our histories and heritage we can acknowledge and embrace our past and help to shape a positive future for Sunderland. 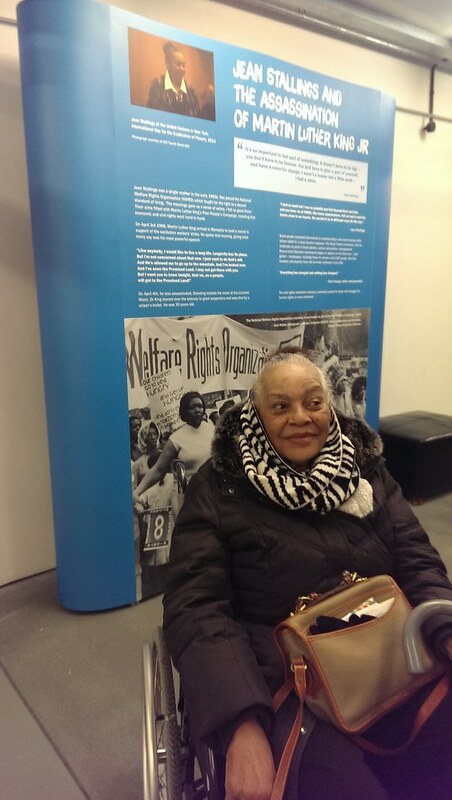 December was a big month for Journey to Justice, both nationally and locally, as December 10th marked International Human Rights Day and the launch of the travelling exhibition in Tower Hamlets, London. 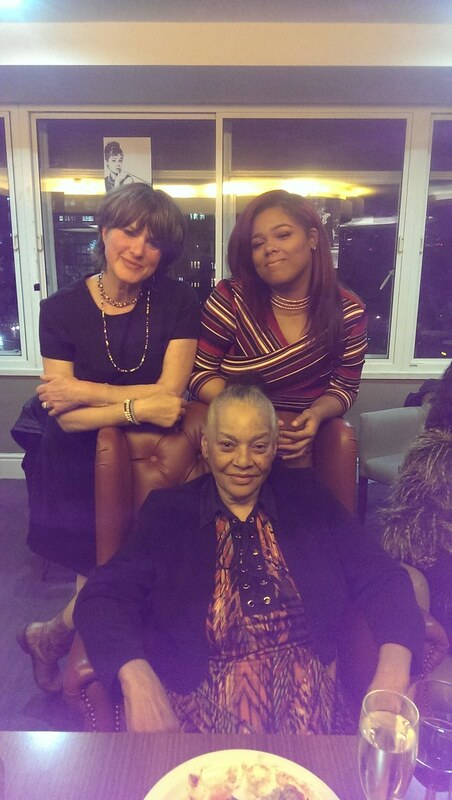 December also saw us welcome veteran civil rights activist Jean Stallings and her granddaughter Brianna to the UK. We were so privileged to be able to host these phenomenal women, with thanks to BAAS (British Association of American Studies) and the US Embassy for their grant. 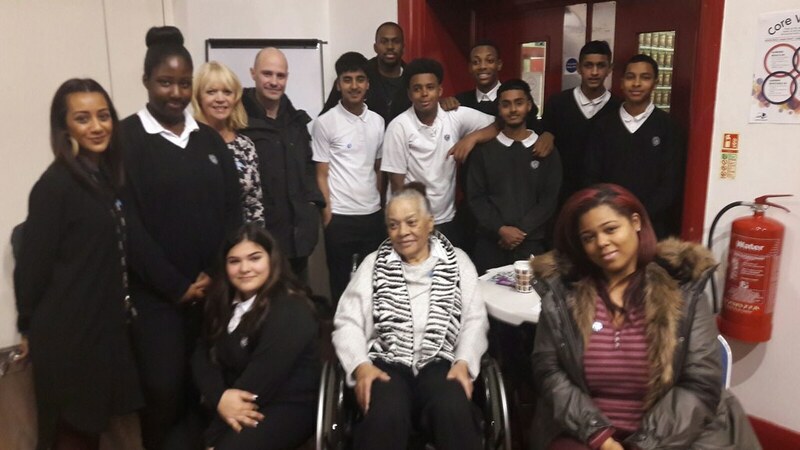 Whilst in London, Jean and Brianna were involved in the launch of the exhibition at Rich Mix (Link to Tower Hamlets page) and worked with young people from Tower Hamlets and Waltham Forest. 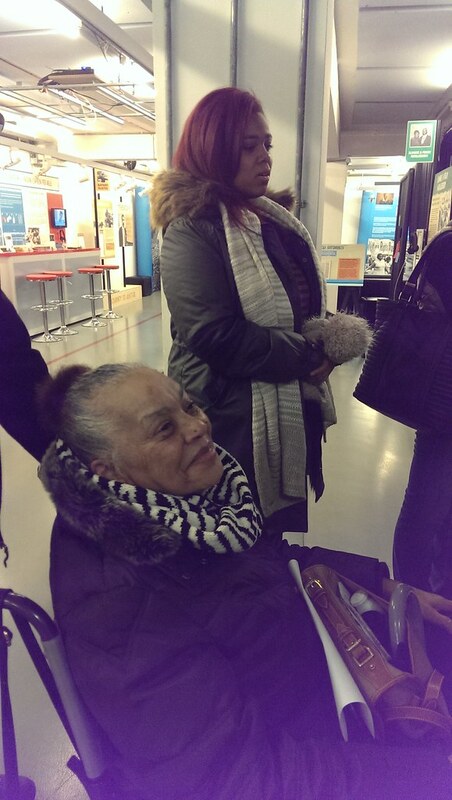 In visiting the North East, Jean and Brianna saw both Sunderland and Newcastle during their three-day stay. 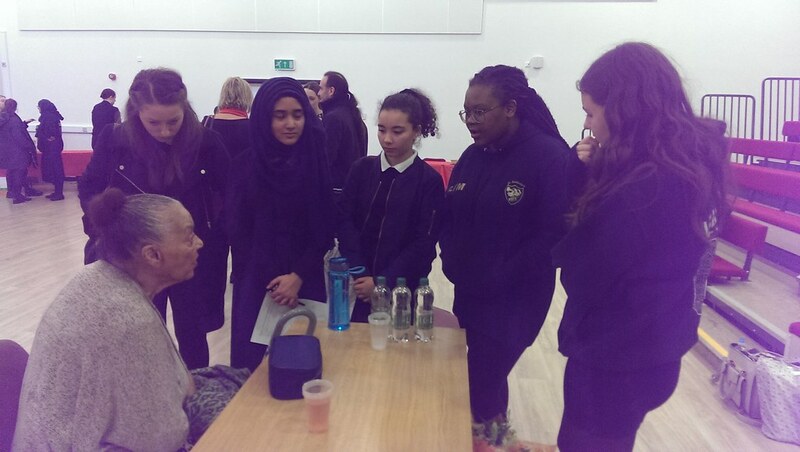 Their stay began with us in Sunderland, kindly hosted by the Sisters of Mercy at their Oaklea convent, as Jean and Brianna were spending the morning with local school children at St Anthony’s Catholic Academy. 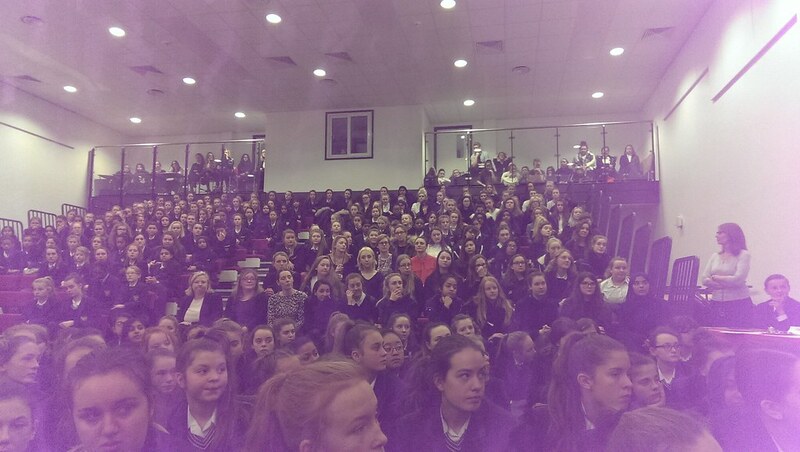 In addition to the girls from St Anthony’s, Jean also met pupils from Red House Academy, Thornhill School, and Hudson Road Primary School. The morning was extraordinary – never have I had to keep my emotions so in check in a work situation. 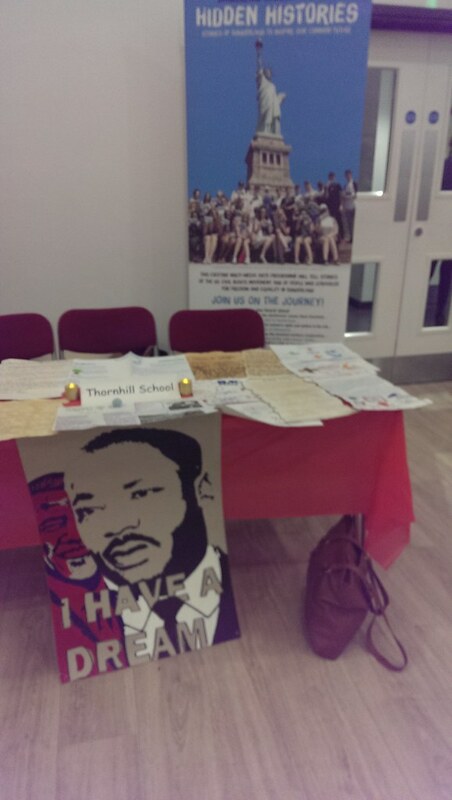 The schools present shared with each other the work they had been doing to examine social justice issues studying everything from Apartheid and segregation to trafficking and what it’s like being a Muslim in Sunderland. 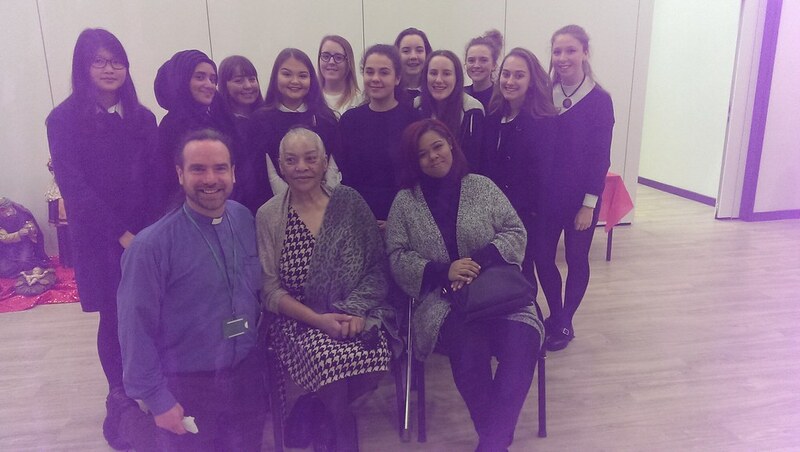 The wonderful work produced by the pupils was met with such great joy from both Jean and Brianna. 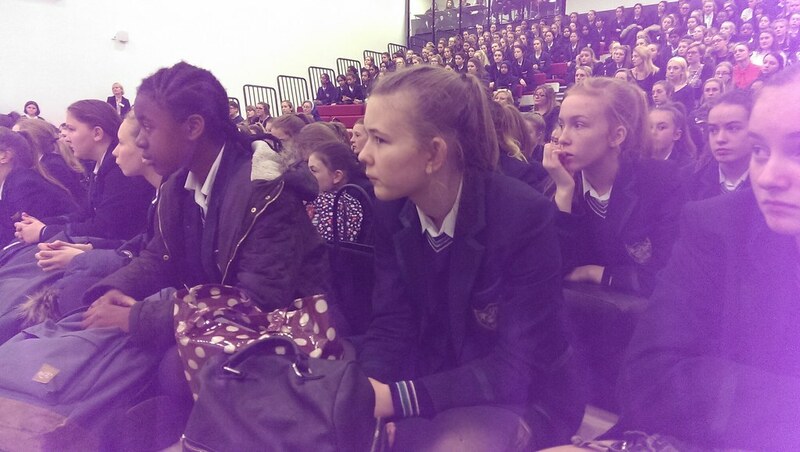 Jean spoke at length to the 100s of pupils crammed into the Hall about her experiences as an activist since the 1960s – responding to their questions and making links to human rights issues in Sunderland today. She spoke with such candid passion that you could have heard a pin drop. 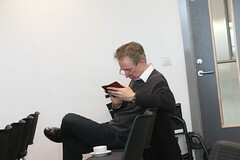 It has since been wonderful to read and hear the feedback from young people and staff which was overwhelmingly positive. 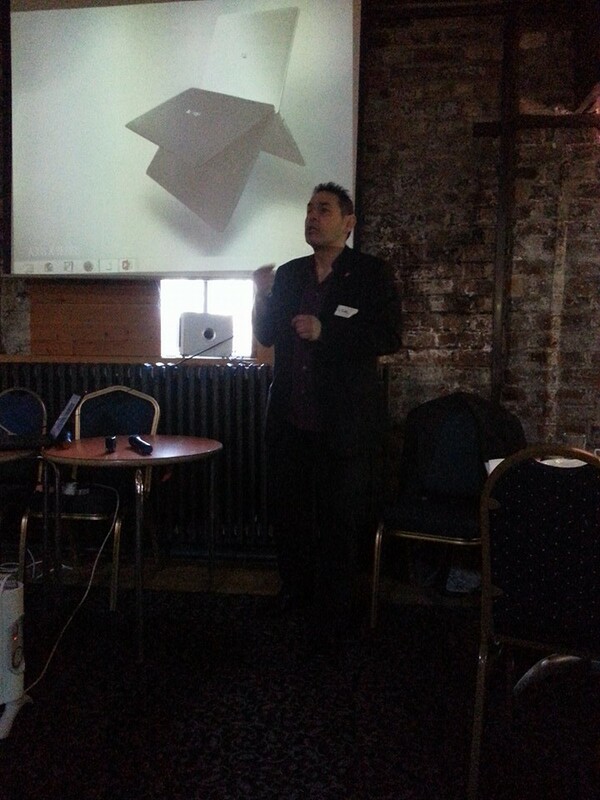 It was such an inspirational day for everyone in attendance. The afternoon saw Jean and Brianna have lunch with Mayor of Sunderland Councillor Alan Emerson and community workers from the city, including Young Asian Voices and Southwick Neighbourhood Youth Project. 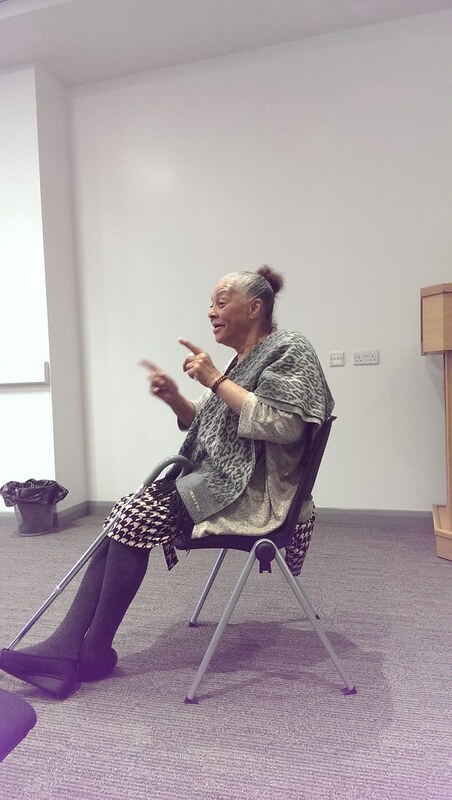 There were history and politics students in attendance from Sunderland College too, who like the pupils in the morning session were able to benefit from Jean’s wisdom and strength. On day two of their visit Jean and Brianna went to Newcastle University to visit the very room, King’s Hall, where Martin Luther King was conferred his honorary doctorate in 1967. They were joined by Brian Ward, Professor in American Studies at Northumbria University and a JtoJ partner. As coincidence would have it King’s Hall was being used for the winter graduations that day and the University presented African American poet Claudia Rankine with an honorary degree. A very fitting and emotional occasion! 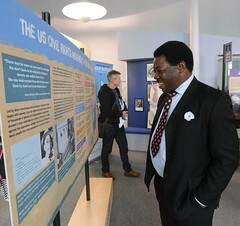 Despite facing pressure and discouragement from the UK government, Newcastle University was the only UK University to honour Martin Luther King during his lifetime. 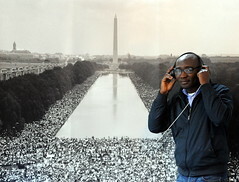 It was a mere five months after this historic event that Dr King was assassinated. 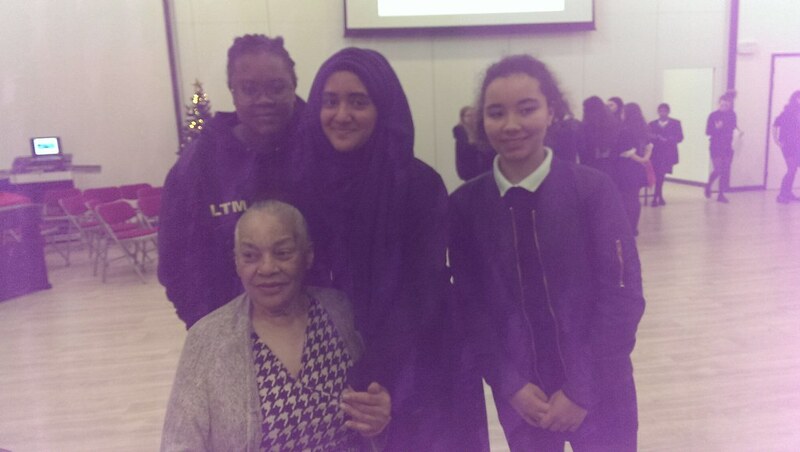 Jean and Brianna, accompanied by Journey to Justice Director Carrie Supple for their visit, were delighted to have been able to attend the graduation ceremony and see King’s Hall. 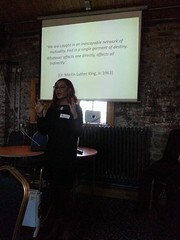 Thank you to Newcastle University for facilitating this. It is rare in life, or at least it has been in mine, to meet with someone who has such a self-assured command over who they are, and what their purpose on this earth is. 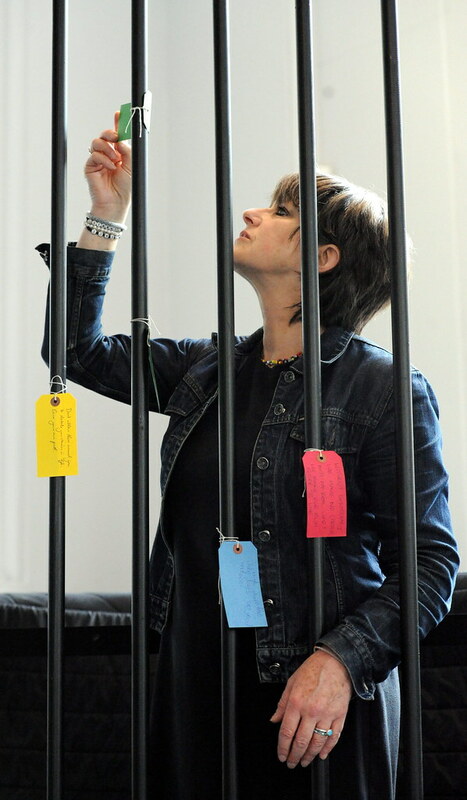 Jean personified that completely and being in her presence was truly something special. 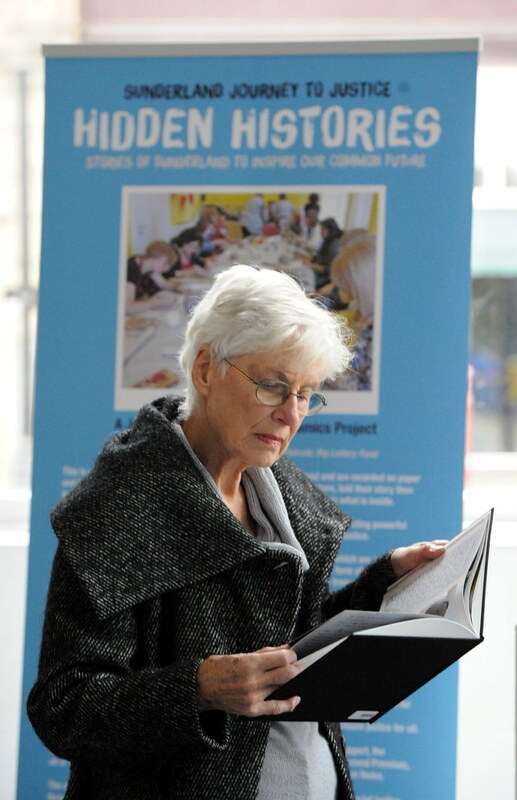 A very humble woman, Jean has such a kind and gracious demeanour, and of everything that Journey to Justice Sunderland has achieved, it was being able to host Jean in the North East that I am most proud of. 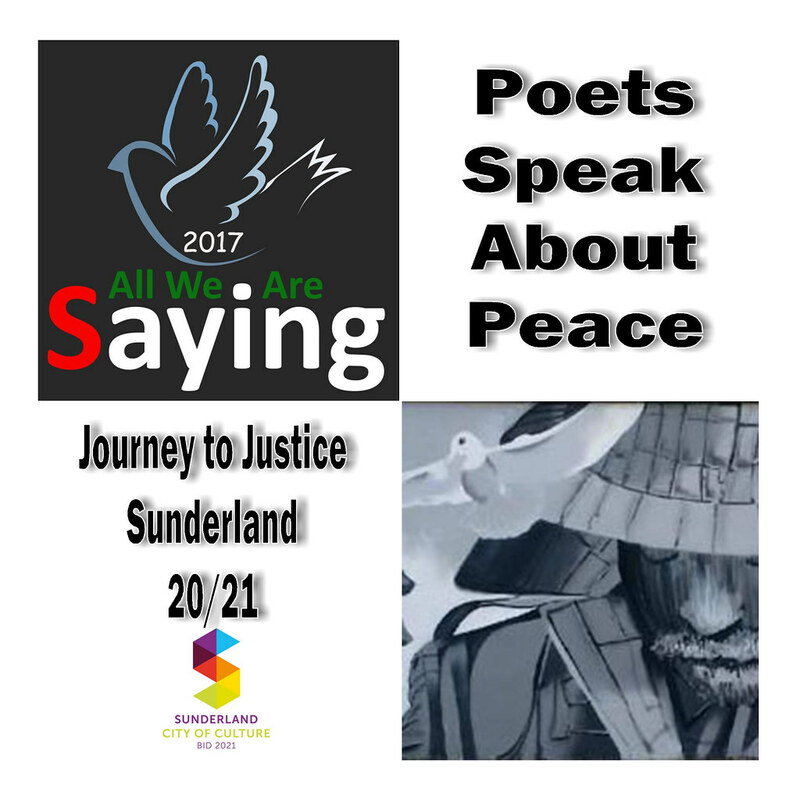 Reflecting back on Journey to Justice Sunderland and how far it has come since its inception in January 2016 has been a very empowering exercise. Whilst I have only been involved since October 2016 it has been both a pleasure and a privilege to help this wonderful organisation go some way towards fulfilling its mission in Sunderland. 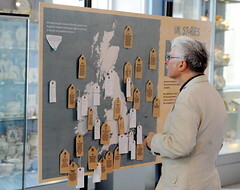 When I think about the volunteers I have met; everyone from our wonderful Director and the National Management Committee, to the Sunderland Steering Group and the amazing volunteers we had help us with travelling exhibition, it fills me with such optimism that there is a hunger for human and civil rights work in the UK. I feel hopeful when I think about all those people working tirelessly for social justice, whether it be in Journey to Justice or similar organisations and I feel compelled to reach further to galvanise our efforts. We are moving, onwards, all of the time and I am inspired by the work I see happening in Sunderland and across the UK. I want to see positive change, and I’m sure with continued hard work we’ll get it. We are facing uncertain times as a country as we go forward with our exit from the European Union. Our politicians and leaders have not yet explained what Brexit will look like, and given that Sunderland voted overwhelmingly in favour to leave, that announcement is eagerly anticipated. 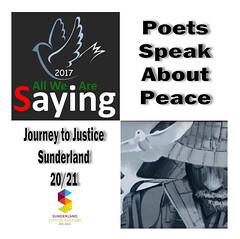 As a result of this vote Sunderland received some negative press and I see it as the role of Journey to Justice and our partner Sunderland University, to open the dialogue around this. Sunderland as a city is looking forward to an exciting future as a candidate for the title of UK City of Culture in 2021 and it is my hope that Journey to Justice Sunderland can be seen as an asset to the city in achieving City of Culture status. Just as the UK is facing uncertain times, globally the recent result of the American Presidential Election will have ramifications yet to be seen. Although the incoming year will pave the way to a new future, I take comfort in knowing that across the UK, and indeed the world, there is a continuing social justice movement. 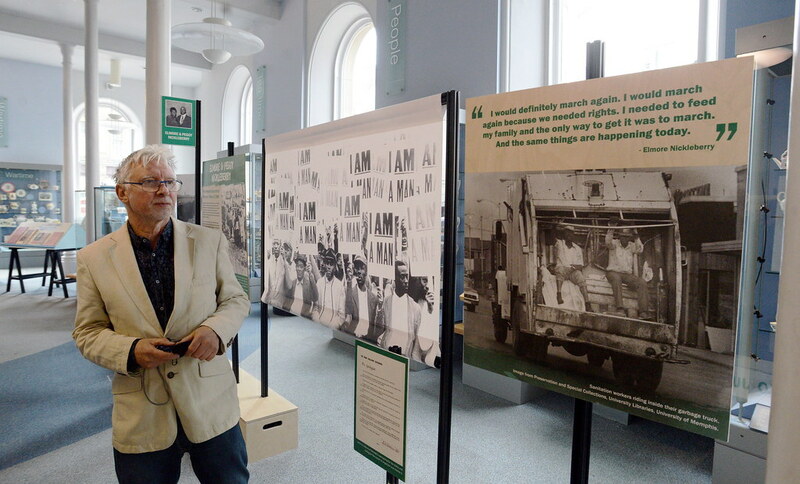 On a national level, the travelling exhibition is in demand across the land and very excitingly Journey to Justice has been granted charitable status. 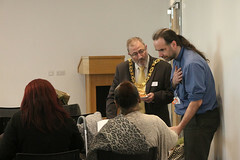 Journey to Justice Sunderland is planning its legacy projects with plenty of exciting proposals submitted and thanks to Celebrate, Big Lottery. These range from touring the ‘canonballs’ an intergenerational project examining what it means to live in Sunderland, to music projects seeing young people write their own songs about social justice issues. 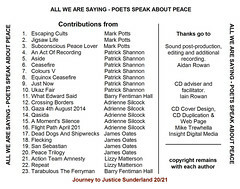 I hope in there can be a continued collaborative effort between national Journey to Justice and our local partners here in Sunderland (see full list here). So here’s to 2017, whatever it may bring, that it will be a year in which Journey to Justice continues to go from strength to strength all over the land! All We Are Saying (AWAS) was created in 2014 and developed rapidly as a response to the worsening situation between Israel and Palestine. As a life-long pacifist I found the daily news-bulletins and headlines unbearable and needed some kind of “therapy” to get me through those dark days. I am an artist and my solution was to approach Sunderland Minster clergy to allow me to make and exhibit some “peace” art in the church. By the end of the week, there so many artists and creatives asking to be included, I realised that there was a real need for something like All We Are Saying. The rules are simple. There should be no political or partisan content in the work and no religion. 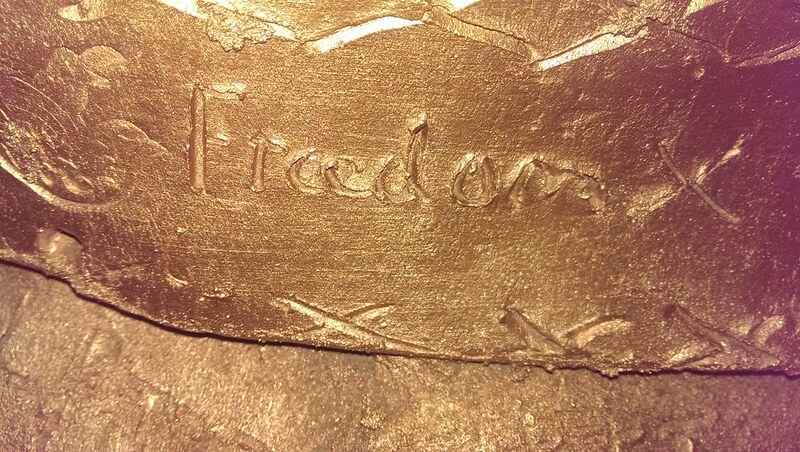 The work should be made as a free gesture and not as a commercial enterprise. AWAS has always been zero-funded and has only been supported “in kind”. 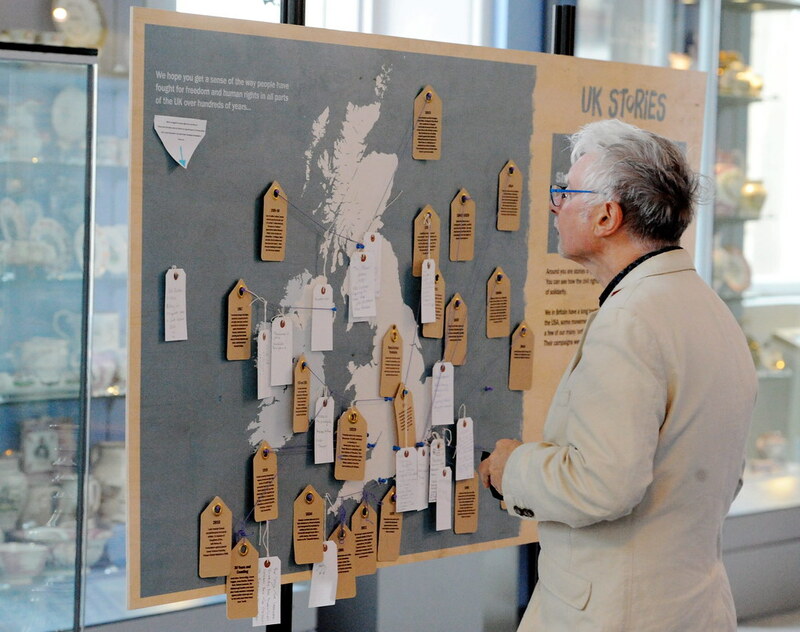 By the September of that year there were seven creative hubs exhibiting simultaneously in the UK and three abroad. 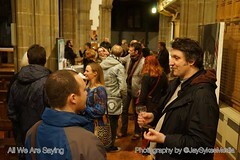 Sunderland Minster hosted an international exhibition from eleven nations by forty-four top artists. 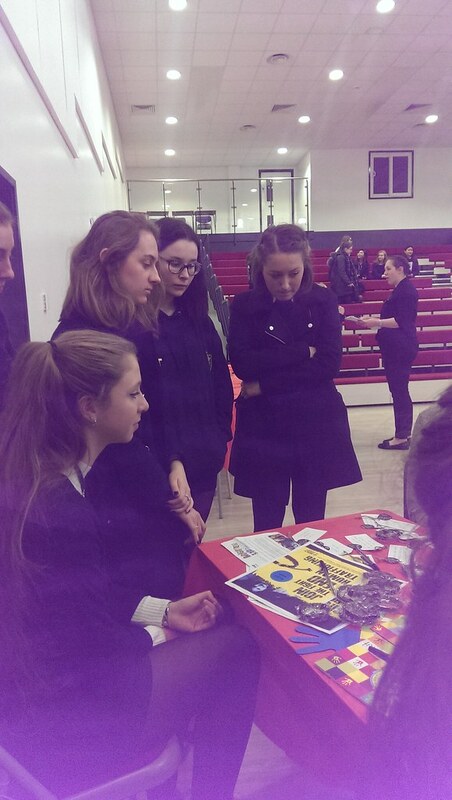 There was also music, theatre, creative writing, performance, and many more areas of creative endeavour. There was even a completed 1000 crane origami challenge. Link to http://www.insightdm.co.uk/all-we-are-saying/ to donate to All We Are Saying.